Asus has revealed its preparing to give Raspberry Pi a run for its money with the firm's new 'Tinker Board'. The DIY single-board computer will offer 4K video playback support and more, but it comes with a hefty £55 price tag. The Asus 90MB0QY1-M0EAY0 Tinker Board or Tinker Board for short certainly isn't aiming at the entry level area of the market, but Asus is still trying to compete with Raspberry Pi in terms of pure specs. 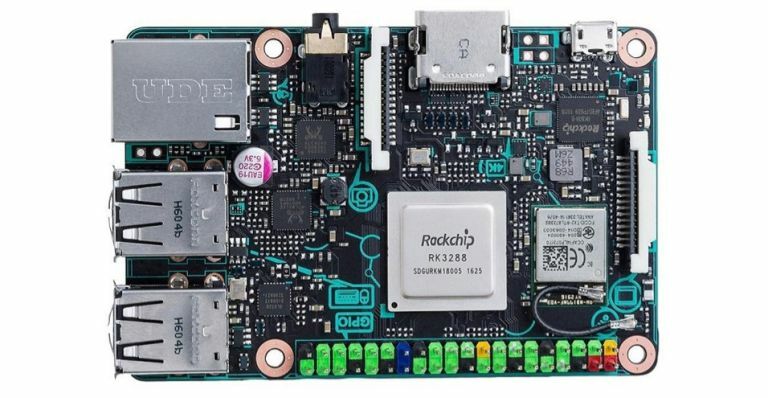 Sadly, while the Tinker Board does boast quad-core Arm Cortex A17 CPU running at 1.8GHz, ARM Mali-T764 GPU, and 2GB of DDR3 memory, its processor falls short of the 64-bit Cortex A53 quad-core processor found in the Raspberry Pi 3 Model B. That doesn't mean the Tinker Board is inferior, though. The Mali-T764 GPU inside the Tinker Board is noticeably more powerful than the Broadcom VideoCore IV inside the Pi 3 so there's plenty of oomph behind that 4K video support. Asus has even created its own bespoke OS for the Tinker Board. If the idea of a non-Raspberry Pi Raspberry Pi floats your DIY computing boat, you can pre-order one today for £55 with a release date planned for the end of February. Love Raspberry Pi? Check out this new magazine! Square Enix and developer Io Interactive have confirmed the 2016 episodic smash hit Hitman is finally getting a physical release tomorrow with a special steelbook, exclusive digital content for some regions and the debut of the Professional difficulty. Io previously released all of the series' episodes digitally, as well as supporting the assassin simulator with regular Elusive Targets that appear in various missions for a brief period of time (the latest one is currently live in Paris). To celebrate the release of Hitman: The Complete First Season tomorrow on physical disc for PS4, Xbox One and PC, it's been confirmed a third bonus mission will also be released. Set in a repurposed Sapienza, the new setup will see you hunting down a well-guarded crooked politician. Hitman will also - finally - be getting the super-hard Professional difficulty. Because it's not a proper finish unless it's suit only and no detections. You pre-order Hitman: The Complete First Season today for £36.99 from Amazon. Three has just confirmed all its users can now use embedded Wi-Fi as part of its broad mobile service. That means if you're without signal, you can connect to a Wi-Fi network and use your minutes and texts through there instead. Three has confirmed all iOS handsets with version 10.02 and above should support embedded Wi-Fi - to set it up, you manually go in to 'Settings' > 'Phone' > 'WiFi calling' and switch it on to activate it. Most Android handsets should support the feature too, including the LG G5, Samsung S6, Samsung S6 edge, iPhone 5c, iPhone 5s, iPhone 6, iPhone 6s, iPhone SE, iPhone 7, iPhone 7s. The Samsung S7 and S7 edge will be compatible from mid-February. The new feature, which should be live now for all users, replaces the existing Three InTouch app. If you're using said app, you should receive a message prompting you to delete it (just so your phone doesn't get confused with two utilities offering the same feature).